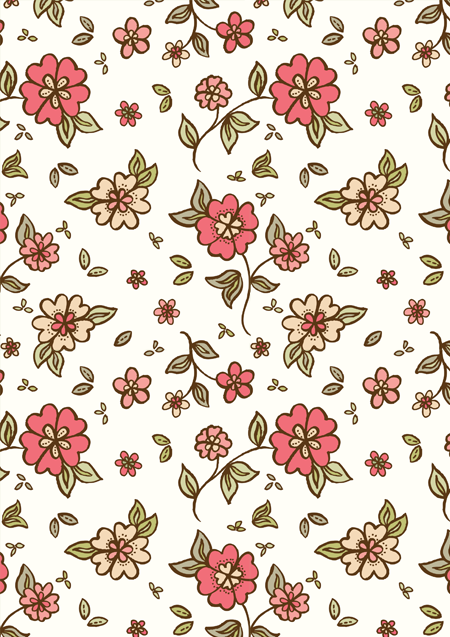 For the first pattern of 2015, I've gone with a brightly coloured floral pattern (because January is grey enough already!). This was quite quickly put together as I'm still in the process of getting back on track with working again. I haven't made any decisions yet on what the next few patterns will be, so any suggestions will be very much appreciated! You can view all of my past 'Over & over' patterns here.